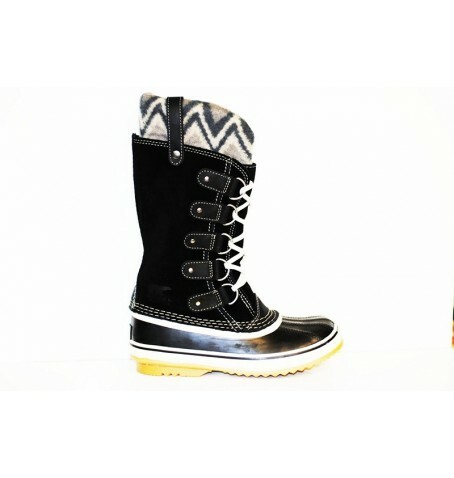 A new take on our iconic Joan of Arctic winter boot. Crafted of rich, waterproof suede with a sumptuous shearling cuff and removable recycled felt inner boot, the Shearling’s vulcanized outsole helps you keep your footing on wet and slippery surfaces. Bring on winter. UPPER: Waterproof suede leather upper. Shearling cuff. Seam-sealed waterproof construction. Shaft Height: 12 1/2 in. Weight: 28.5 oz / 812 g.